Happy Winter Solstice. Fall is officially over and with it Callapidder Day's Fall into Reading challenge. The theme this year was new to me author reads. I'm glad I kept the list short because ended up reading most of the books, deleting a few and adding some different ones. I discovered some great authors and some interesting stories. Fall somehow turned into a very busy time for me and my reading slowed down quite a bit. I finished the majority of them. The ones I finished were. 1) Great Gatsby by F. Scott Fitzgerald which I read for Banned Book week. Wasn't too terribly thrilled with the story and how it ended. 2) Vanished by Joseph Finder for Take a Chance Challenge. Mystery. Liked this author and will be looking for more books by him. 3) The Arc, The Reed and The Firecloud by Jenny Cote. Absolutely brilliant children's story that both James and I enjoyed. I have already purchased book 2 The Dreamer, The Schemer and the Robe which we will be reading aloud in 2010. 4) The Red Siren by M.L. Tyndale. A Christian tale about a lady pirate and I didn't like the ending too much. 5) Kill Her Again by Robert Gregory Brown. A psychological thriller by one of the author's who blogs at Murderati. Excellent and will definitely be reading more stories by him. 6) Night Watch by Sergie Lukyanenko. An interesting paranormal fantasy involving a fight between good and evil. Interesting and the lead character very introspective and philosophical. 7) The Brutal Telling by Louise Penny. A Canadian murder mystery which for some reason left me totally at a loss and I didn't review it. I felt like I missed something and decided it was one I would have to go back and read another time. 8) The Wyndham Case by Jill Paton Walsh. From our library of inherited books - a british murder mystery. It was interesting. 9) Silent Thunder by Iris Johansen. Combination thriller and paranormal romance thrown into one. I like the author's writing and will be looking into more books by her. Didn't have to write a review but excellent story. 10) A Game of Thrones by George R.R. Martin. An Epic Fantasy series. Great book and wish I had more time to write a review to do it justice. Two separate story lines with several characters and each chapter follows a certain character. The story lines do not merge by the end of the story and some characters are left in cliff hanger mode. Definitely want to continue the story so will be reading the next book in the series. I ended up shelving Here Be Dragons by Sharon Kay Penham simply because it was too dang long and decided would read for Historical challenge in 2010. The Lost City of Oz I just couldn't get into and decided to put it aside until later. I simply forgot about Dorothy Sayer's Strong Poison and will read it next year. No, I didn't stick with my original goals. I got involved in a couple other challenges and ended up reading some new to me author books that I hadn't planned on. Such as Frankenstein by Mary Shelle. No I had never read it and found it interesting but Dr. Frankenstein turned into a whiner. Also reviewed a new book called Dracula: The Undead by Dacre Stoker and Ian Holt which was excellent. A couple more excellent review books came my way: Hush Hush by Becca Fitzpatrick and Recipe Club by Andrea Israel and Nancy Garfinkel. Also a spontaneous store purchase of Blind Descent by Nevada Barr which I thoroughly enjoyed. Plus Charlaine Harris's Dead until Dark (A Sookie Stackhouse Novel). I am now reading the whole series and on book # 5. What was your favorite book that you read this spring? I would have to say my ultimate favorite was The Ark, The Reed and the Fire Cloud simply because it was a fun read. Imagine trying to read with all the accents of the animal characters - english, irish, scottish, spanish, etc. Did you discover a new author or genre this spring? Did you love them? 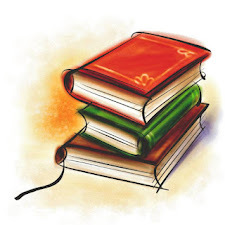 All the books were new author reads for me and there are several of them I liked and will definitely be reading more of their stories such as George R.R. Martin, Jenny Cote, Charlaine Harris, Joseph Finder, Iris Johansen and Robert Gregory Brown. 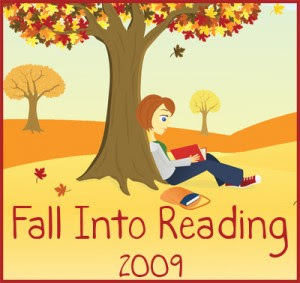 Did you learn something new because of Fall Into Reading 2009 – something about reading, about yourself, or about a topic you read about? I learned I really don't care so much for British mysteries because for some reason they really don't hold my attention. However, I love exploring new authors and being pleasantly surprised by different writing styles. I really didn't think I would like the Sookie Stackhouse mysteries that much, but find myself drawn in by her character and wit. I am rediscovering science fiction and fantasy and enjoying being drawn into crazy new worlds. The whole challenge was very casual and I enjoyed Katrina's weekly giveaways, even though I only entered a few and didn't win anything. However, her giveaways exposed me to some books I didn't know about and added a few to my wish list. One of the things I really like about the challenge is Katrina's central spot to link book reviews and getting to see what everyone else read and what they thought about it. And unfortunately I totally spaced on posting any of my reviews and I only visited a few of the links. I'm be making up for that in the next few days, checking out everyone's wrap up posts and finding out their final thoughts. A big thank to Katrina for hosting as always. She is a wonderful host. Speaking of which, I won't be hosting the Winter Reading Challenge again this year because Winter just crept up too fast and I didn't have time to get it together. 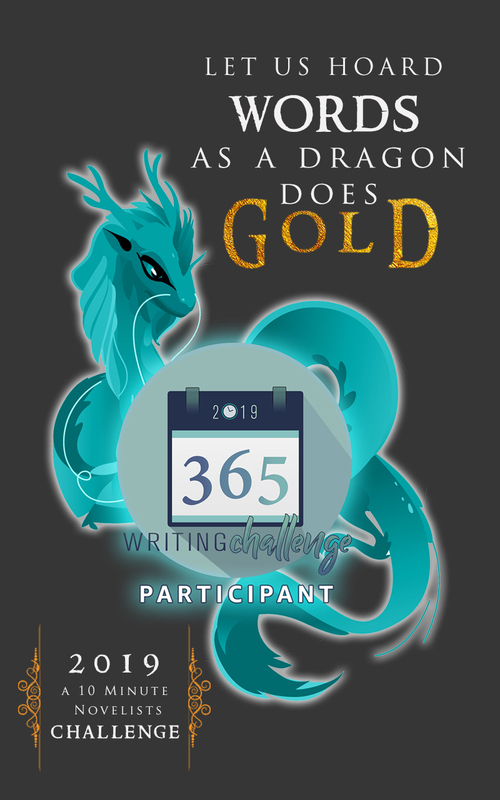 However for 2010 I will be hosting Mind Voyages, a science fiction and fantasy challenge and continuing another year of hosting Read 52 Books in 52 Weeks challenge. If you'd like to join me, click on over and sign up. To see what other folks read for the Fall Reading Challenge, head on over to Katrina's. Glad you enjoyed THE ARK, THE REED, AND THE FIRE CLOUD - we also have book 2 on the shelf for 2010. And I'm glad I wasn't the only one trying to read aloud with all the accents! What a very interesting list of books! Thanks for sharing. I'll be adding a few to my TBR list. Great list! You finished a ton! I wish I had more of a chance to read this fall. thanks for stopping by my blog. That's great that you read so many new authors. It's interesting to be exposed to so many different styles. I think you did a great job on this challenge!! I never stick to my list!! LOL!! I read quite a bit of "new to me authors" this fall as well. Going to check out your challenges. Looks like you did a great job with the challenge, good for you!